Haunted House is a very popular horror game in real life. As a escape room owner, you want to know how to DIY haunted house by yourself? As a fan, you may want to know what props are in the haunted house? Let's visit 1987 Studio to explore the props in the haunted house. Do you remember the lights in the haunted house? These lights make us scared, and create a horrible atmosphere. 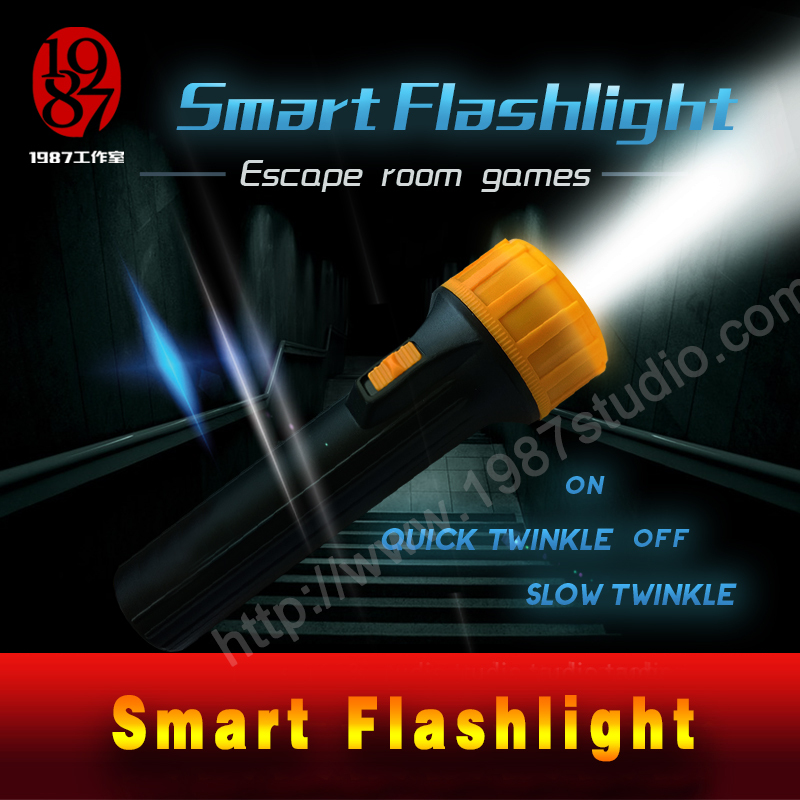 Smart flashlight is generally used in real life escape room game. Room owner can use it to create terrifying atmosphere by remote control. (1) There are 3 different kinds of versions to meet different needs. (2) The flashlight looks very cool controlled by remote control. The sudden music in the haunted house often scares us. 1987 Studio have a electronic prop like this. 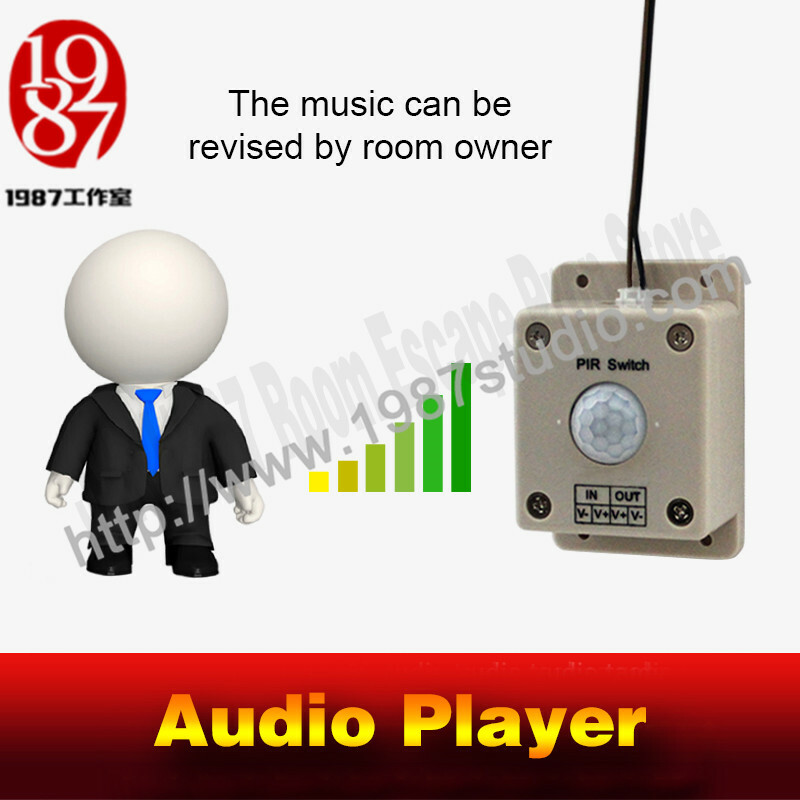 When adventurers enter the room, this prop will detect them and play the music for the room as the background audio. ①When this prop being powered on, there will be an audio tells that the staffs of the room would have 60 seconds to leave. ②After 60 seconds, this prop will be activated. ③When the adventurers enterthe room, the human body detect sensor will detect them and play the music forthem as the background music of the room. ④About 60 seconds after adventurers leave the room, the music will stop. In the haunted house, the most fearful of props all kinds of skeletons! Do you dare to look skeleton? It’s the most inportant props in haunted house game. 1987 Studio have several this scary props. The ghost prop will be activated by the voice. Then the ghost will play a horrible sound and its eyes will blink with different colors. More halloween prop at 1987 studio. Applicable Occasions: haunted house, escape room game, holiday party, bar, KTV and so on. 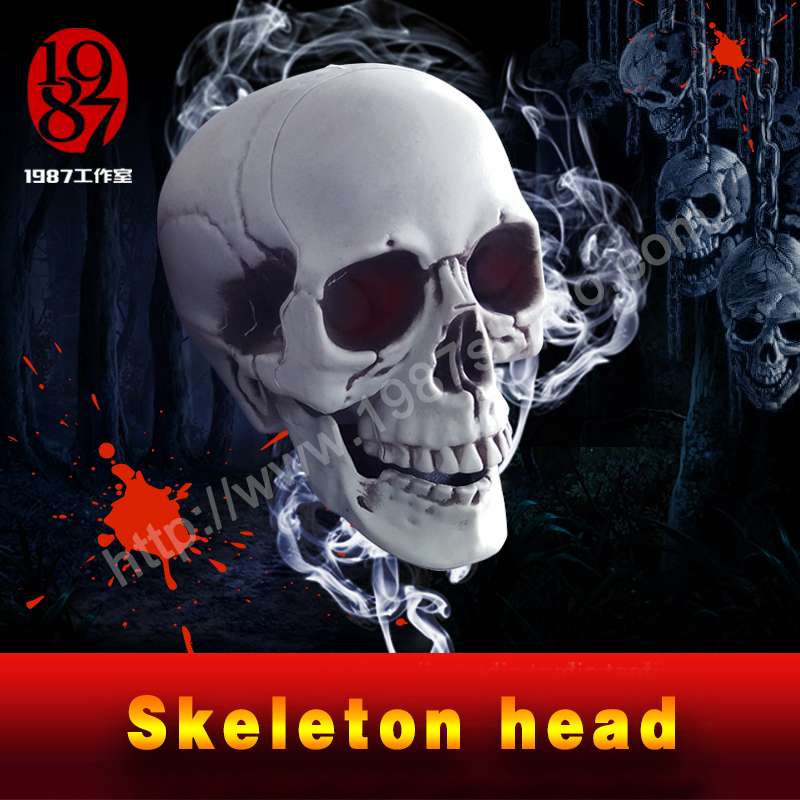 Skeleton head fright prop is made of plastic material, odorless and durable. Special sculpture, oil drop technology, which makes this skull head more lifelike. Decorate your home for the Halloween day of the dead season or any time you want. Apply for theme interior decoration, bar decoration, site layout and the film scene props. It makes a perfect small altar decoration. 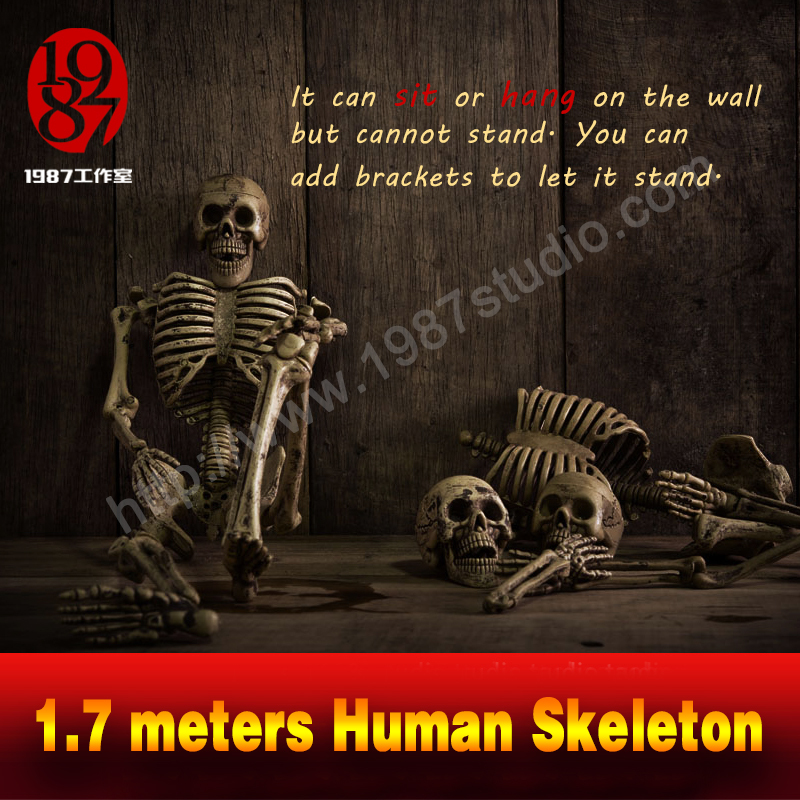 The fright human skeleton prop include a full rib cage, spine, arms and legs, and skull with a movable jaw. Its limbs are movable, with knees that lock into place to hold a position. This escape room prop can sit or hang on the wall but cannot stand. You can add brackets to let it stand. There are some other decorations used in haunted house prop. 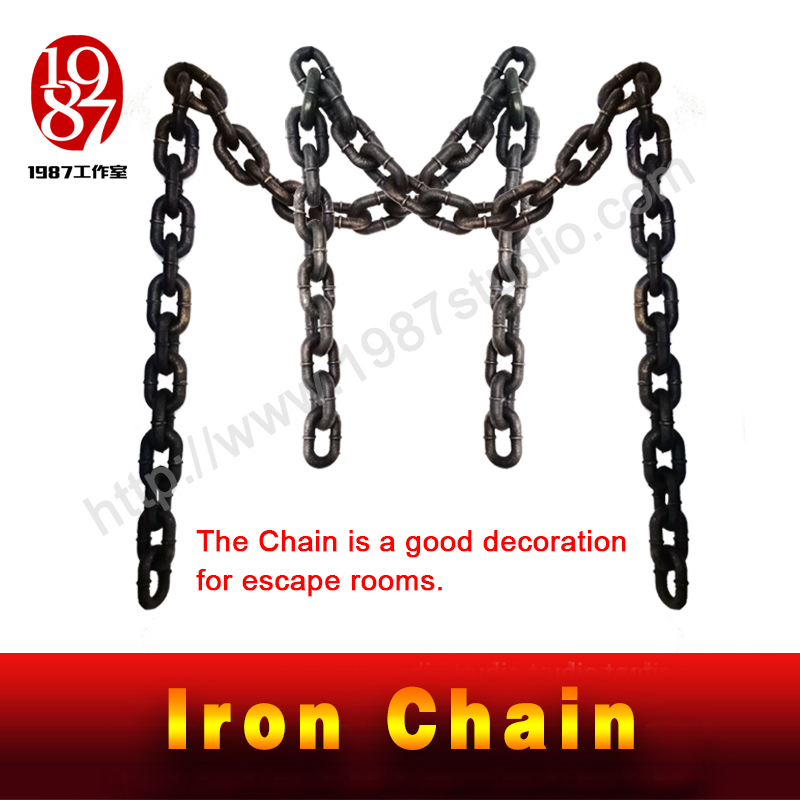 The Chain prop is a good decoration for escape rooms. 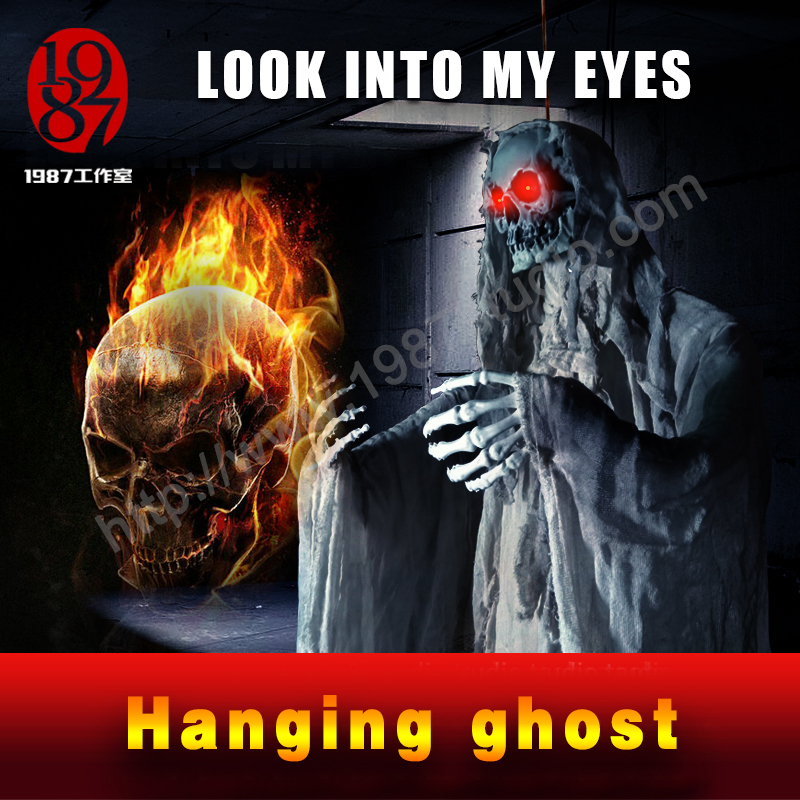 It can be used in many scenes, such as Hallowmas, haunted house prop, prison and other cosplay game. Old surface makes it more real even though it is made of plastic. How to quickly DIY hautned house? The above is the answer. If you have a better answer, please leave us a message.